We provide international repatriation services for individuals and insurance companies for patients who find themselves needing international assistance or repatriation from UK airports to hospital or home. Our medical assistance team will come out to you and pick you up by road or air ambulance depending on clinical need. We charter air ambulance which minimises our maintenance costs but use our own fleet of land ambulances. We provide private ambulance transfers for a range of clients. From those looking to transfer a loved one nearer to home, to individuals who want the flexibility of having private transport to a hospital appointment or for a special trip. We can provide ambulances staffed by Technicians, Paramedics or Nurses depending on the clinical need. 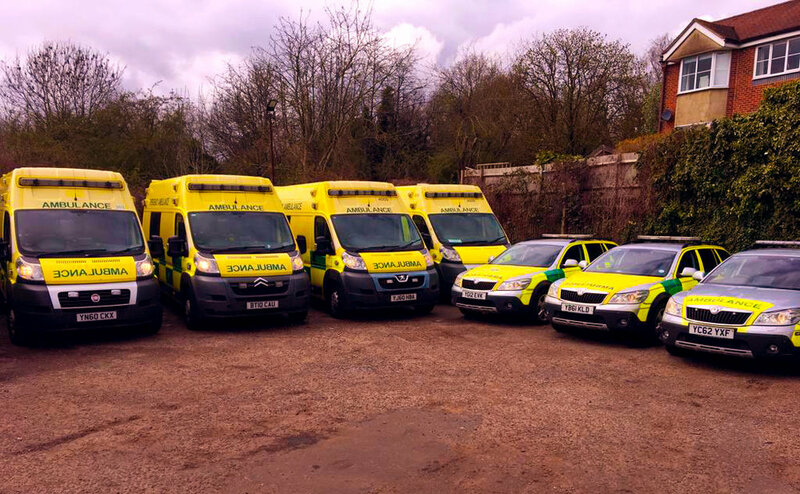 We provide non-emergency Patient Transport Services to a number of NHS CCGs, Hospital Trusts and NHS Ambulance Services on an ad-hoc or contract basis. We are insured by Hiscox for full liability and medical malpractice. Our vehicles are insured for emergency driving. Our emergency blue light drivers are trained to the national standard used by the NHS ambulance service (IHCD D1/D2) or latest equivalent. We are equipped to A&E frontline levels with medical gases, 12-lead ECG, ALS, monitoring and JRCALC medicines. We also have specialist equipment for long distance transfers such as pressure reducing mattresses and nursing supplies.